Canvas and Aluminum Awnings | King Glass, Inc.
We offer canvas awnings in a variety of colors and styles. Feel free to visit our office and browse through our sample book. 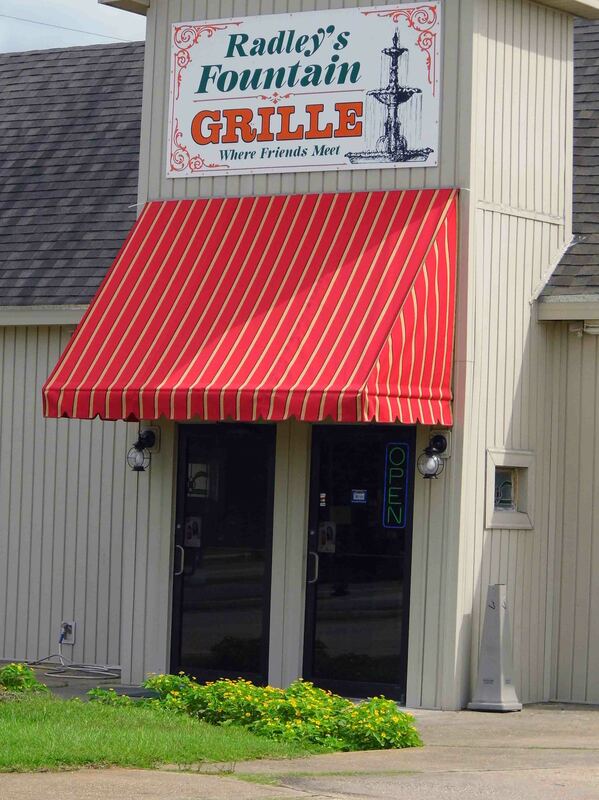 Pictured below are awnings we recently installed in Monroeville, Alabama. Striped Awning with Scalloped Fringe installed by King Glass, Inc.
At King Glass we also offer aluminum awnings for your home or business. *Due to discrepancies in how a computer monitor displays color, the swatches should not be taken as the actual color, but used as a guideline.